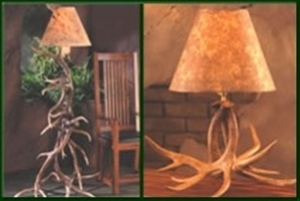 Rustic furniture lighting includes antler chandeliers and antler lamps. These styles are very popular among log home furniture. 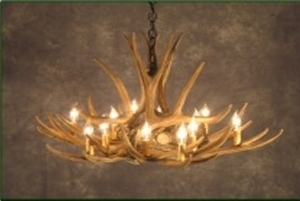 Antler styles include mule deer, whitetail, moose, elk and ram. 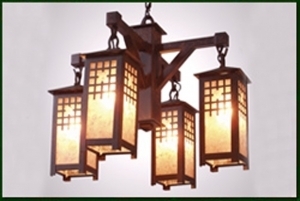 Making a striking conversation piece, these unique styles come in lamps and chandeliers, which pair together to add a distinct trademark to any log furniture style home.